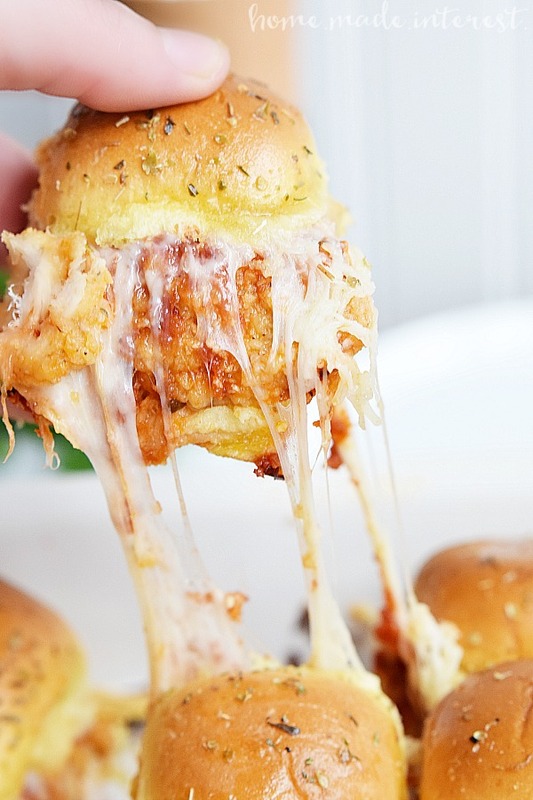 Chicken Parmesan Sliders - Home. Made. Interest. 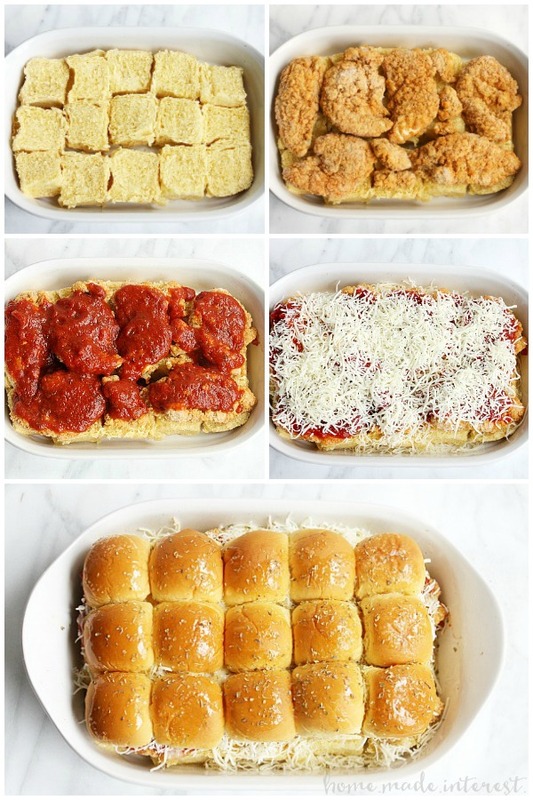 These Chicken Parmesan Sliders are an easy recipe made with fried chicken tenders, tomato sauce, and lots of cheese! 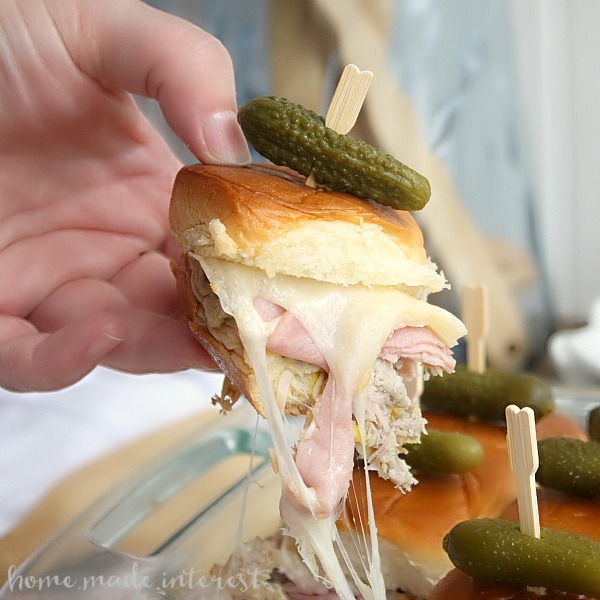 Sliders are one of my favorite things to make because you can take almost anything and turn it into a simple bite-sized sandwich that is perfect for feeding a bunch of hungry guests….or just one hungry family! 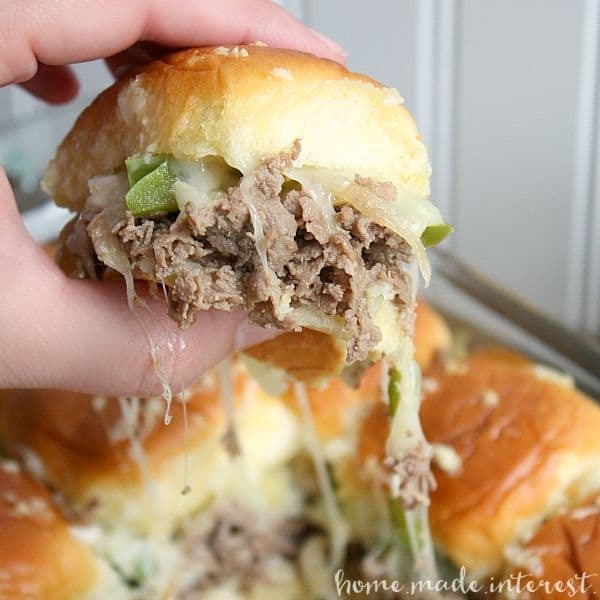 I have a list a mile long of awesome slider ideas and so far I’ve made Philly Cheesesteak Sliders, and easy, cheesy, Meatball Sliders. 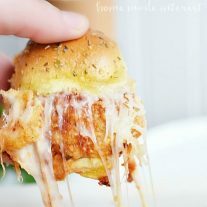 Both were huge hits with my friends and family so the bar was set pretty high when I came up with my latest slider creation, Chicken Parmesan Sliders. Let me put your mind at rest before we even get into how I made these. These were gone almost as soon as they came out of the oven. The smell of the garlic butter and tomato sauce wafting out of the oven as these sliders were cooking had everyone impatiently asking when they were going to be ready! 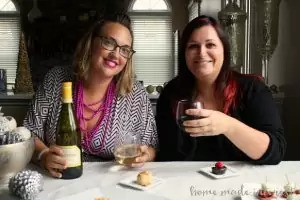 I love recipes like that, where you know they are going to be amazing before you even take that first bite. They are really easy to make too which is a bonus. The first thing you have to do is make some really good chicken tenders. Now, I buy mine at the grocery store in the frozen food section because I like to keep things simple, but if you have a chicken tender recipe that you love go for it! Once you’ve prepared your chicken tenders you need to put everything together. 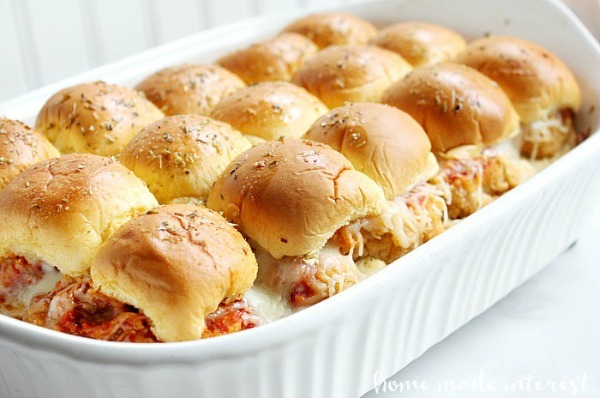 Cut your slider buns in half and place them in the bottom of a greased casserole dish. Then place your chicken tenders on the bottom buns, it’s ok if they cross over onto multiple buns you’ll cut the sliders apart before serving. Next, add a layer of your favorite spaghetti sauce, and then cover everything in lots of mozzarella and Parmesan cheese. The cheesier the better if you ask me! Put the top buns in place and then pour melted garlic butter over everything and sprinkle it with a little Italian seasoning. That butter seeps into the bread as it cooks and turns it into an amazing garlic bread for your chicken Parmesan sliders. You bake everything for about 20 minutes and when you pull it out of the oven you have this delicious blend of cheese, sauce, chicken, and garlic that is going to bring everyone in the house running to the kitchen for the first bite. Make sure you save some for yourself! These will be gone before you know it! Fried chicken tenders, tomato sauce, and lots of mozzarella cheese make this slider recipe a sure win. Wondering what size pan you are using. 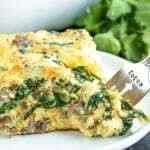 These really sound yummy so I will give this recipe a try. 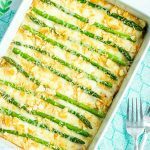 I used an 11×7 inch casserole dish but you can even make these on a sheet pan. We used frozen chicken strips that we cooked in the oven before adding them to the sliders. Cook the chicken first, then assemble and cook for additional time. We cooked the frozen chicken strips in the oven first them placed them on the sliders and baked everything together. We made these for the MSU v UofM game and everyone loved them! We will be making them again and we are thinking we might try a buffalo chicken slider too! So glad you liked them and that buffalo chicken slider sounds delicious! I want to make these this evening. Do I cook the Frozen Chicken first or do they fully cook in the bread? Cook the frozen chicken first. Can’t wait to try these! They look amazing! I hope you like them as much as we did! Amazing! I made these for our New Year’s Eve gathering last night and they were a huge hit! I used Parmesan crusted chicken tenders and diced them up before adding them to the rolls. Added a sprinkle of parm cheese before the mozzarella. In the butter, I added some Garlic Galore seasoning/dip mix from Wild Tree. So easy and so good. They were even awesome reheated the next day. Definitely going to make these again. Thanks for the recipe! I’m so glad they were a hit. 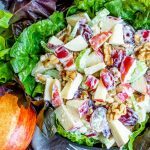 Your changes sound delicious!! Happy New Year! These are ridiculously delicious!!! And best of all, so easy to make. These are a hit every time I make them. They’re easy to prepare ahead of time for a party, then just bake them off. 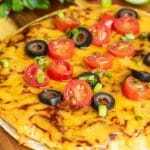 The butter/cheese topping makes it extra special. I would eat these every day if I could! My friend made these and I loved them! I am planning on making them for an event tomorrow but am trying to save cooking time day of. Has anyone tried cooking the chicken the night before, and then just crisping it back up in the oven before adding it to the sliders? I’d appreciate some feedback, thanks! You can definitely cook the chicken the day before. Just reheat it before putting it on the sliders and you should be good to go. Glad you enjoyed them! We cook them according to the package first. If they go on cold the ones in the middle of the sliders dont get fully heated through before the bread starts to get overcooked. Didn’t have slider buns so I used hamburger buns. Also didn’t have mozzarella cheese so I used shredded Colby jack and shredded Parmesan cheese. Turned out super delicious! Loved the garlic butter topping! 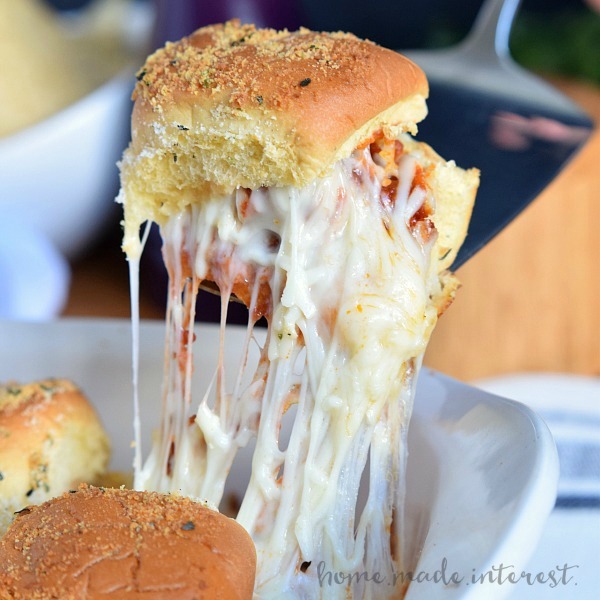 I followed this recipe for Chicken Parm Sliders to a tee but they turned out a spongy, sloppy mess! The entire bottom buns disintegrated with moisture and the chicken tenders went from crispy to soggy. What went wrong? Was the sauce I bought too watery? Hi Erin, were the chicken tenders cooked or frozen? I assume they were fully cooked since you said they were crisp but I have to ask :). The sauce goes on top of the chicken tenders so it doesn’t make the bottom buns soggy but I guess if the sauce was watery it might run down and get the bottom buns soggy and take the crispness out of the chicken. I haven’t had this problem but my best suggestion would be to use a little less sauce and, as long as the chicken tenders are already warm, you can reduce the bake time so they only bake until the cheese is melted. 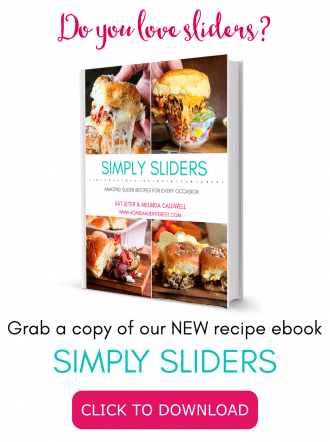 Digging this slider recipe? Sign up for our weekly newsletter and you'll receive exclusive content starting with "5 Game Day Recipes You Don't Want To Miss!"